CyrusOne secure cabinets located in Norwalk, CT.
Fortress-like physical security controls and procedures keep clients’ mission-critical applications up and running around the clock. Each location offers multiple levels of protection and are secured 24X365 by fulltime onsite staff and dedicated security personnel through the use of proximity card readers, biometric sensors and video surveillance systems. CyrusOne high-availability, world-class data centers are HIPAA, SSAE 16 and PCI compliant as well as Safe Harbor Certified annually, offering the highest levels of security, protection, and reliability. 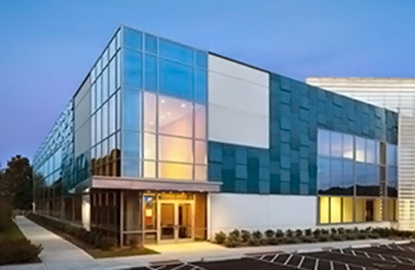 All equipment, systems and data is replicated to a C7 redundant data center in Salt Lake City, UT that is completely comparable to the Norwalk, CT datacenter and also features HIPAA, SSAE 16 and PCI compliant as well as Safe Harbor Certified annually, offering the highest levels of security, protection, and reliability. This dual datacenter architecture creates redundancy, security, business continuity, and disaster recovery. Norwalk, CT and Salt Lake City, UT are in different time zones, separated by more than 2200 miles, on different power grids, on different fault lines, and in different climates, making these two locations perfect for redundancy. Hi-Link uses top of the line Cisco Blade Servers, Cisco Call Manager, HP Storage, and redundant Palo Alto Firewalls to ensure optimal performance. This data center is replicated to a C7 data center in Salt Lake City, UT providing full redundancy.